Following up on the ferociously innovative ESCAPE VELOCITY, which served as the basis for Moore’s consulting work to such companies as Salesforce, Microsoft, and Intel, ZONE TO WIN serves as the companion playbook for his landmark guide, offering a practical manual to address the challenge large enterprises face when they seek to add a new line of business to their established portfolio. 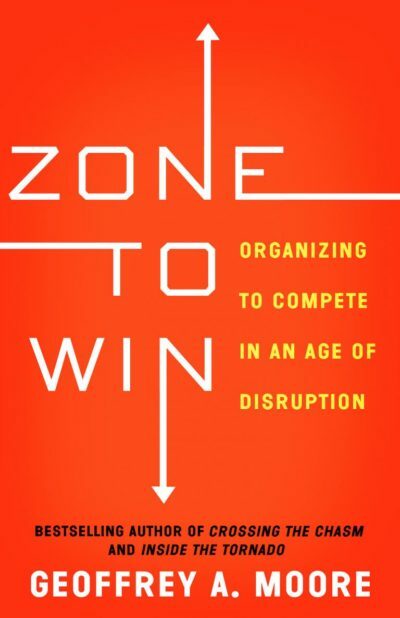 Focused on spurring next-generation growth, guiding mergers and acquisitions, and embracing disruption and innovation, ZONE TO WIN is a high-powered tool for driving your company above and beyond its limitations, its definitions of success, and ultimately, its competitors. Moore’s classic bestseller, CROSSING THE CHASM, has sold more than one million copies by addressing the challenges faced by start-up companies. Now ZONE TO WIN is set to guide established enterprises through the same journey.